Ballet is generally known to be the fundamental foundation of all dance styles. Ballet improves core stability, posture, poise, quality of movement and much more. Ballet is a secure foundation for any child to progress further with their dancing technique and to proceed further with alternative dance styles. At Rosewood Dance Academy, Rose teaches The Royal Academy of Dance Ballet Syllabi known to be one of the most prestigious societies worldwide. Within the Graded Ballet syllabi Free Movement and Character Work is incorporated. Free movement touches on a different quality of dancing, moving in a soft, free flowing, and fluid motion. Free movement taps into a contemporary style, accenting highs and lows and a quality of weight and suspension that can be shown through dancing. Character Work on the other hand, touches on a theatrical style based on national dance often seen within professional Classical Ballets. These classes are designed for children from 2 years of age and are a fantastic introduction to the art of Ballet and Creative Dance. The basis of ballet are incorporated within these classes and are structured to be super exciting, using lots of imagination. Aiming to allow children to be involved and encourage movement. With music to inspire and props to enhance creativity, children will be overjoyed and have an abundance of FUN, FUN, FUN! Children will learn new skills including co-ordination, listening and social skills, sound and rhythmic response, spatial awareness and ultimately gain self-confidence. From travelling to an enchanted land, flying with magical creatures, making potions and casting spells. Going on horse rides and bouncing like a bunny. 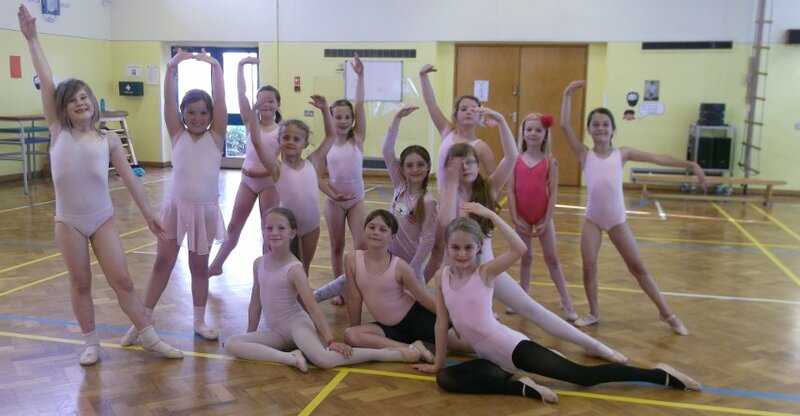 Children will experience a passion for ballet in an exciting, light hearted and positive atmosphere. Children are encouraged to participate without a parent present in the dance hall. However, parents are more than welcome to stay during class, to help build their child’s confidence and familiarise themselves with myself and the class structure. Over time children will have enough confidence to continue with their ballet class without their parent present gaining a sense of independence. 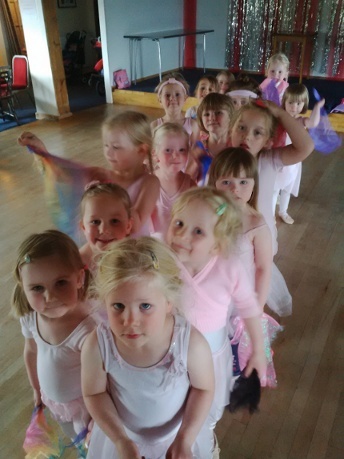 Pre Primary Ballet is approximately available for children aged around 5 Years old. Pre Primary Ballet is the first set syllabus that children will begin to learn. Like with Pre School Ballet children will still have plenty of fun whilst learning new ballet vocabulary and improving their overall ballet technique of which they have already learnt. Pre Primary Ballet follows on perfectly from the Pre School class and children will now have the opportunity to take part in a Class Award. This is where children will have the chance to perform their ballet routines in front of an examiner in exam conditions with Rose present in the exam room. This is a fabulous way for children to gain an idea of how examinations are structured for future grades. 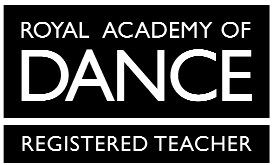 All children who participate in a Class Award will receive a certificate issued by the Royal Academy of Dance and a Pre Primary in Dance medal. Please note: Class Awards are not compulsory and children are more than welcome to participate simply for fun and fitness. 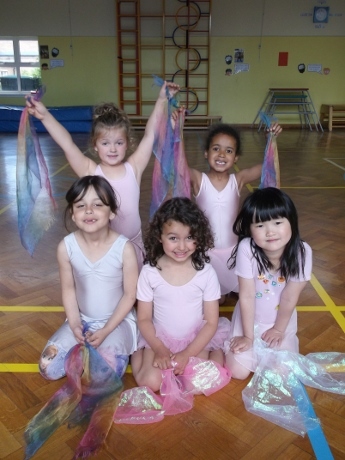 Primary Ballet is approximately available for children aged 6 Years old. At this stage most children will be familiar with some of the ballet terminology and would have learnt different arm, feet, and body positions and specific ballet steps. For the first time children will have the opportunity to train towards an official examination where they can be officially marked by an examiner. At this level children may have the choice of participating in a Primary in Dance Class Award or Primary in Dance Examination. 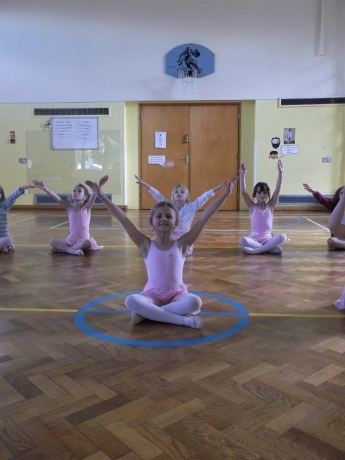 A Class Award is similar to Pre Primary where Rose is present in the exam room whilst the children perform their ballet exercises in front of an examiner. An Examination is where children perform their ballet routines in front of an examiner but without Rose present in the exam room. There are some differences with what is shown throughout an Examination compared to the Class Award and children are officially marked. All successful candidates will result in being graded with Pass, Merit, or Distinction. The examination process is very individual and it is a chance for each child to gain recognition for all their hard work during lessons. Children will gain a sense of purpose and achievement. At this level all children will receive a certificate issued by the Royal Academy of Dance and a Primary in Dance medal. Class Award Examinations or Class Awards are not compulsory. It is a decision made by each individual, Rose and their parent/guardian. Students are more than welcome to participate simply for fun and fitness. Children will begin to learn more ballet vocabulary and will have the chance to train throughout the grades. Each grade progresses from the next enabling each dancer to learn more about ballet technique and without knowing it they will begin to appreciate how intricate and precise ballet can be. Throughout the grades children will gain a secure understanding of classical ballet learning a sense of style and performance. Throughout the grades Children will still have the opportunity to proceed with examinations or simply take part for fun and fitness. To ensure all children gain the full benefits of ballet and progress to their best ability it is encouraged that all pupils begin a second class per week around Grade 3. If there is not a second class already available during the week Rose will do her up most to open a new class to accommodate in your child’s progression. Eventually students may progress onto the Vocational graded syllabi listed above. Students will build on the elements covered in the Graded syllabi and is intended for students who wish to pursue a career in dance. Like with all previous grades students are more than welcome to participate for enjoyment as well as gaining a high knowledge of the ballet vocabulary and continuing to experience the physical benefits of classical ballet. For those students who wish to pursue on a more professional level they may train towards examinations. At this level to establish the required ability and standard for examinations pupils should ideally be participating in at least two - three ballet classes per week. All aspects covered throughout the grades should now be well implemented by pupils and they will now need to build on stamina, endurance and technique in order to proceed through the Vocational levels. Children will eventually have the opportunity to progress onto Pointe Work. This will be determined by Rose, depending on a few factors such as Age, Strength, Ability, Stamina and Shape of Foot. It is very important to have Pointe Shoes fitted properly. You will need to visit a professional dance wear shop, where they should be able to advise your child on the best type of Pointe Shoe for their foot size and shape. Students should speak to Rose, who will advise them on where to purchase and have their pointe shoes fitted correctly.